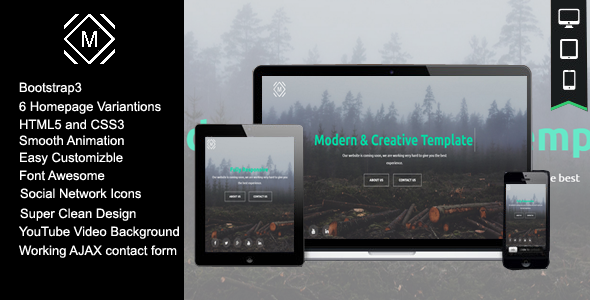 Myra is a HTML5 coming soon template. It offers simple design with unique transition animation. Myra was built with latest Bootstrap framework so this template will look great on any devices. You could use Avail for any type of your project. Its easy to use and well documented. You could contact me anytime from Myra support tab if you need my help or have some question about this template. Myra comes with various features, you could check the main features below. Thank you for purchasing my theme. If you have any questions that are beyond the scope of this help file, please feel free to email via my user page contact form here. Thanks so much!